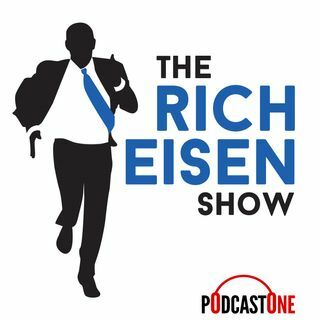 Rich will mix football analysis with pop culture, humor, and interviews with the biggest names in sports and entertainment. The nationally syndicated radio and TV talk show airs Monday-Friday, Noon-3PM Eastern / 9AM-Noon Pacific, on 125+ radio stations (starting Nov 3rd), DIRECTV's Audience channel 239, and three ROOT Sports regional sports networks (NW, Denver, Pittsburgh). It is also available digitally on the NFL Now mobile platform. Said Eisen, "After all these years of seeing ... Más informaciones TV add 10 pounds, I'm hoping phones and tablets will only add 5."